Education Development Center (EDC) and its partners host study tours of education leaders from across Pakistan to visit universities in the United States. 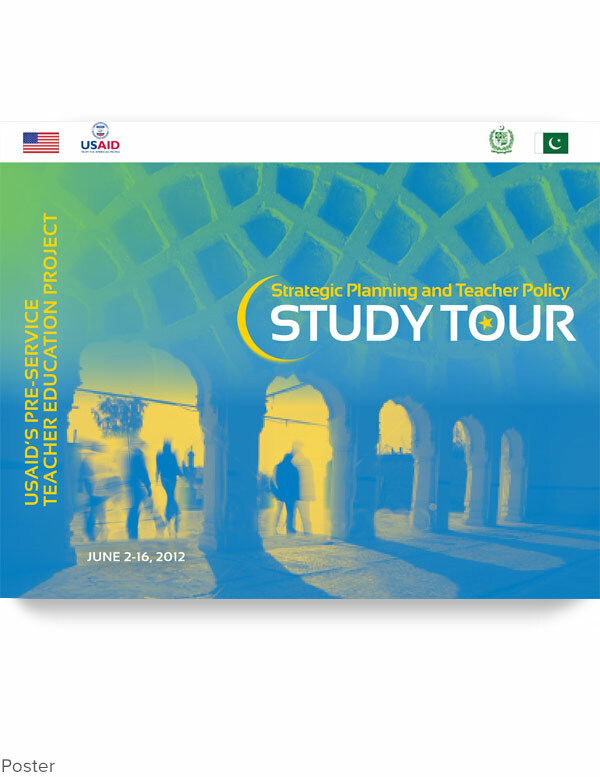 The tours, part of a federally-funded project known as the USAID Teacher Education Project, help educators examine various aspects of the U.S. higher education system. 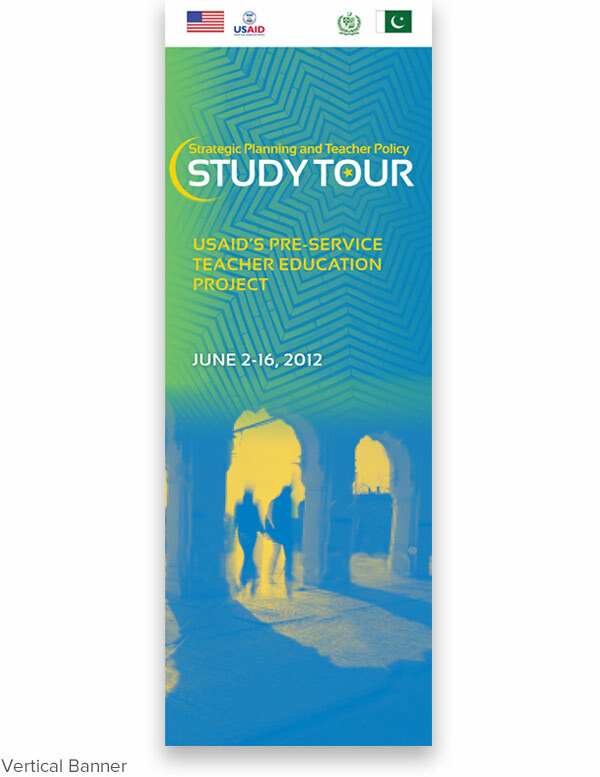 Designs for bags, banners, binders, certificates, covers, one-pagers, and PowerPoints were developed for several different study tours, each with a unique design.